I bet there are some things everybody are missing from their home country if they live abroad. 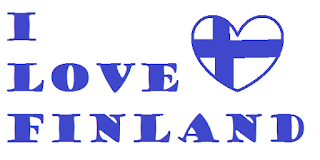 I don't know the next time I will be visiting Finland so maybe I feel a bit home sick and sentimental about everything related to Finland. I'm even planning to order a package online full of Finnish treats! So, What do I miss from Finland? 1. Family and all my friends and loved ones. People I miss the most! I think this is quite obvious remark, but it is the truth. I can try to cook something Finnish here, but I can not spend all the time I wish to with the people that I miss. I'm happy that it is possible to stay in touch via skype, facebook, whatsapp... but it is still different when you are not able to hug and to be honest I'm not the best person to stay in touch via internet. That is why I really appreciate my friends who get that. When we are able to see each other again it feels that we just saw yesterday. The warm relaxing feeling without any stupid restrictions like: you can not throw water or there is a maximum temperature that is not enough or you can not bring children to sauna. I have tried sauna here a couple of times but it was like torture as I couldn't throw any water. The sauna was so dry it was almost impossible to breathe. Never again! I miss the normal Finnish sauna. There are many kind of foods that are not sold here or I'm not able to prepare them on my own. Also our oven is the size of a microwave so that I'm not able to prepare everything I wish. I miss Finnish supermarket and all the products (just not the prices!). Before Christmas I'm planning to bake many Finnish treats, for example cinnamon rolls, gingerbread's and maybe even Christmas tarts. 4. Candy, specially all black candies! I can get good chocolate and normal candy from Poland, but salty licorice and salmiak! I also miss normal candy by weight, there is something similar in Poland but everything is always hard and dry and the selection is not as good. I can not wait to order my package! 5. Drinks, like glögi, longdrink(lonkero) and different kind of ciders. I want glögi for Christmas, I think there is something in Ikea but the selection is not as good I could hope for. Lonkero is a soft alcohol drink sold in Finland, I don't like it so much anymore but as I don't like beer I hope to have bigger variety of choices. The same goes for ciders, in Poland you can find only a couple of brands and couple of tastes where as in Finland there is a plenty of different kind of tastes. I feel that in Finland I was always able to find easy instructions how I should do something and here I just should know. Not any official infos about anything, everything I have learned about the whole university system is from my friends. We are now having a separate classes for writing thesis with our supervisors. At the same time I know that in Finland you could have a separate class for research, for writing and meetings with the supervisors. I miss this feeling that I know everything! We live in the city so that it is hard to find a place just for yourself. I miss everything clean and green. I have grown up in a place where the nature was always close, just to go out for a walk in the forest and barely see anybody else. Playing in the forest and building some shelters, climbing to trees.... Maybe I wouldn't do the same things anymore but I miss walking alone, being able to pick berries and mushrooms. There is many more things that I miss, the list could probably be endless. Even when I miss many things from Finland that doesn't mean I wouldn't be happy here. 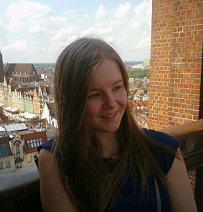 I feel happy and that Wroclaw is my home now. I could also make a list why I love my life here, but for now, feeling a bit sentimental about Finland list about the things I really miss felt more suitable.